One of the things I'm loving for myself are beauty subscription boxes. They are are a monthly treat that I like to consider part of my self-care. It's really hard to choose one with so many on the market. Currently, I'm subscribed to GLOSSYBOX and wish I had been sooner. It contains five beauty products, some FULL SIZE, that are delivered to your door every month featuring brand new, innovative products and some old favorites! Step 1 - Sign up to a monthly subscription starting from $10. There are 3, 6 & 12-month options to choose from. Save when you join for the year or simply roll along monthly as I do. Step 2 - Wait for dispatch day! In a few short days, your themed box will arrive. Step 3 - Use and review to collect GLOSSYCREDITS. When you take part in surveys and reviews each month on your products, you earn credit to spend on beauty treats, either on Look Fantastic or on the next very exciting Limited edition box! I've been subscribed since August and have earned over $30 so far! BONUS - Sign up using my referral code and you will also receive 20% off your first box! 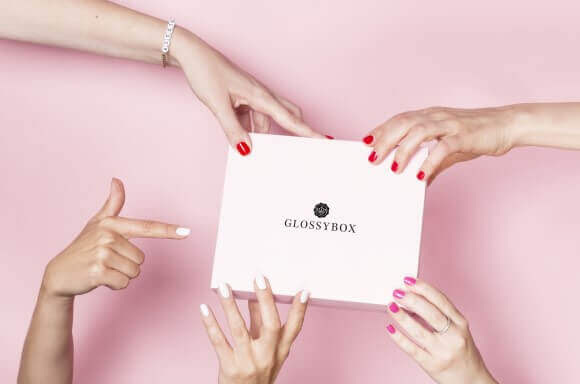 Join today and you will not only receive the Beauty resolutions Box this month but also get access to the GLOSSY Lounge too, a place full of deals and discounts just for the GLOSSYBOX community! The past few boxes have sold out due to the AMAZING brands inside like my personal fave, HUDA beauty. Join here today! Disclosure: This post contains my referral link for new sign-ups at GLOSSYBOX.